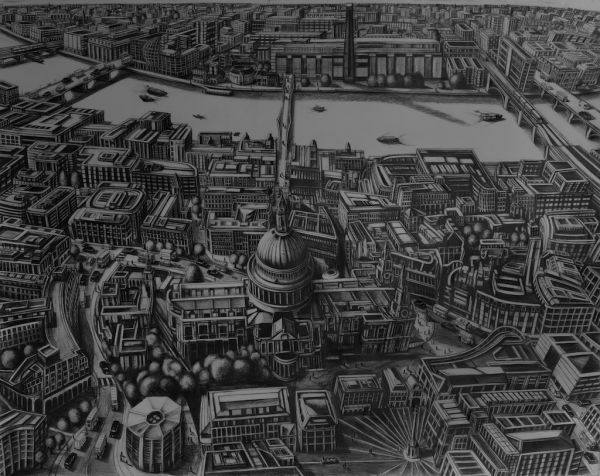 Paul Hiles: St Pauls, Tate Modern, 2009. St Pauls, Tate Modern, 2009. Christopher Wren rows across the Thames as he did while St Pauls was being built. Artists that have inspired me such as Leon Kossoff and Marianne North , Turner and Joshua Reynolds can be seen on routemaster buses.